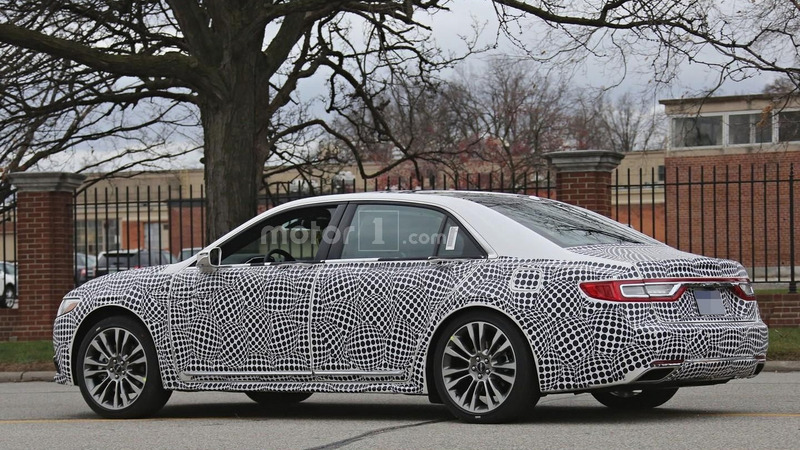 Today we bring what could possibly be the last batch of spy images with the 2017 Lincoln Continental. With a confirmed debut next month in Detroit, it’s no wonder this near-production prototype only has a thin layer of camouflage. It looks just about the same as the concept shown earlier this year in New York and has what it takes to spice things up in the full-size luxury segment in United States. 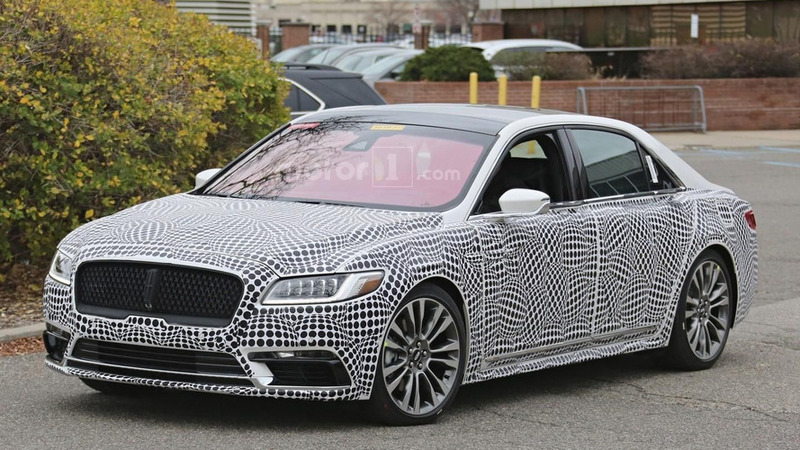 That front grille you are seeing is a sign of things to come as Lincoln through the voice of its marketing manager Imran Jalal has announced it will likely be implemented on other models. Details about the 2017 Continental are scarce at the moment, but we do know from Ford’s premium marque that it will ride on a front-wheel drive platform. That sounds a bit disappointing, but at least the model is going to be available with an optional all-wheel drive arrangement. Don’t hold your breath for a diesel engine as it won’t happen, while a more frugal hybrid derivative is not on the agenda for the foreseeable future. One of the engines that we know for sure will be on offer is a 3.0-liter EcoBoost exclusively engineered for the model. Expect full details and images to emerge at the beginning of January, prior to the model’s debut in Detroit on January 11 during the first press preview day. It remains to be seen whether Bentley will have something to say about the production-ready model taking into account the guys from Crewe said the concept looked like a Continental.